The Trump administration may have just unknowingly dealt the beekeeping industry a major blow. Earlier this month, the Department of Justice gave the thumbs up on a major acquisition for Bayer AG. The company is now going to be able to acquire Monsanto Co for $62.5 billion. 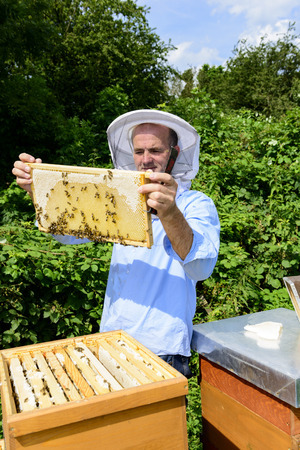 Why is this important to the beekeeping industry? Bayer AG is one of the biggest players in the seed and pesticides world. With this deal, Bayer would control roughly 25 percent of that market. This could create quite a challenge to environmental groups fighting with the EPA over regulations in the pesticide industry. This will also give significant leverage to the company against local farmers when it comes to which pesticides they are buying. This means there will now be considerable more money for lobbyists to woo politicians to have pesticides harmful to the bee population to be pushed through for approval. What Happened to These Days? Last year, an appeals court revoked its approval of an insecticide created by Dow AgroSciences. With cries the Environmental Protection Agency (EPA) is not doing enough to protect bees and not properly evaluating products such as this, the 9th Circuit Court of Appeals took matters into its own hands. This ruling dates back to a lawsuit initially filed in 2013. Organizations supporting both the honey and beekeeping industries were looking to block pesticides known to be harmful to the bee population by suing the EPA. Specifically, they presented cases of pesticides that had been approved by the EPA but had also proven harmful to honeybees. The product blocked by the courts was sulfoxaflor. It was developed by Dow ArgoSciences, which is a subsidiary of Dow Chemical Co. Dow took the product to the EPA for approval back in 2010 and wanted to use the agent in three separate products. For its part, the EPA had no comment other than saying it was going to review the court’s decision. With honeybee populations declining at an alarming rate (The U.S. Department of Agriculture released a report in early 2017 showing a 42.1 percent loss for the year – compared to 34.2 for the prior report), we need our EPA to be more vigilant, especially with what appears to be a monopoly forming in the pesticides industry. Unknowingly, our Justice Department may have just sentenced our bee population to death.